Every child loves to travel, and time travel is a great adventure! 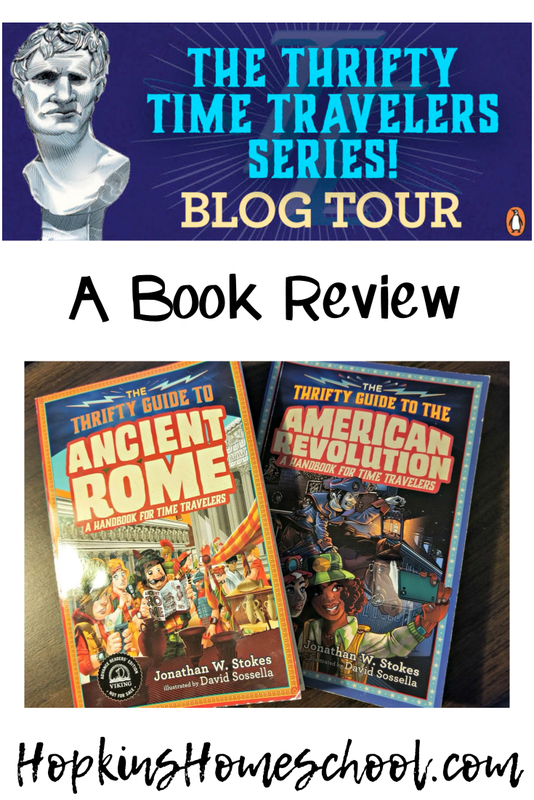 These last few weeks, the kids and I have been preparing for some traveling through time as we read The Thrifty Guide to the American Revolution: A Handbook for Time Travelers and The Thrifty Guide to Ancient Rome: A Handbook for Time Travelers written by Jonathan W. Stokes. These books are written in 2163 and 2164 offering complete vacation packages for tourists who wish to travel back in history. You will find ratings on places to eat, as well as places to stay not to mention many helpful hints to get you through different difficulties that may arise. Each book is written, literally as a travel guide. However, there are some rules for time traveling, such as not permanently changing the past. There are even insights on how to Prank the Past. My kids got a kick out of these sections! We spent much time in the American Revolution, as this is the period we are currently learning about. 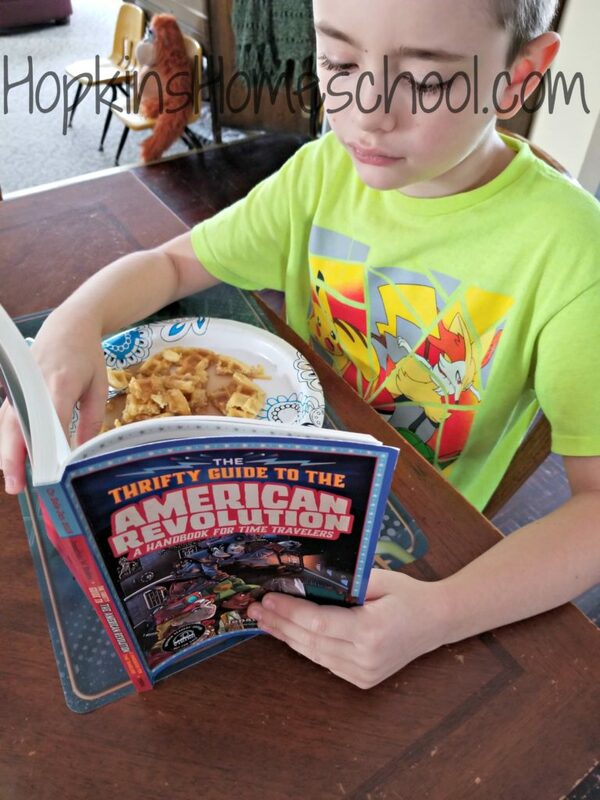 The kids were laughing through this whole book! 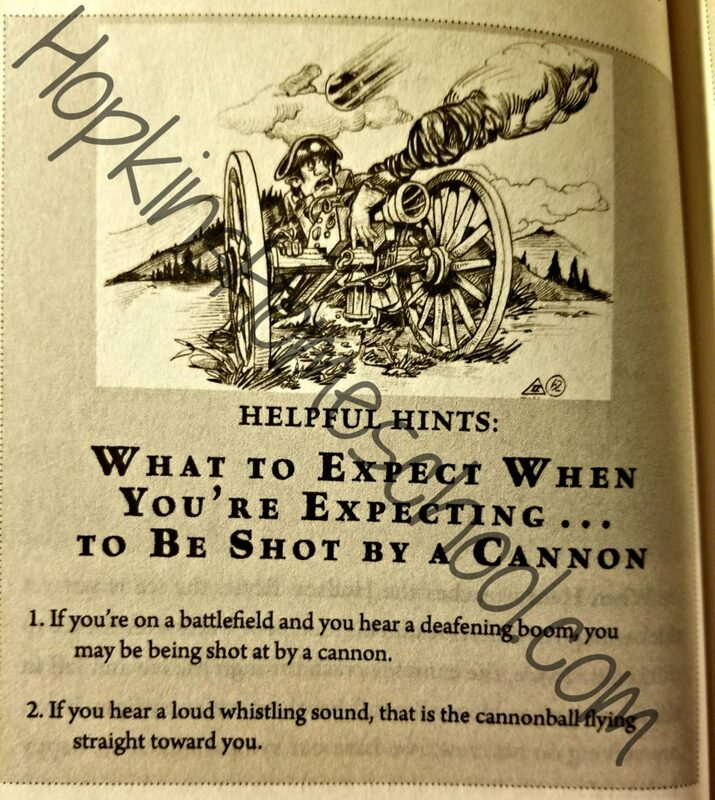 They found it funny to be reading a book that was telling them about British Battle Strategies as if they were actually lining up to fight and how to survive a cannon shot! I do have to mention, not that it was a big deal for us, but there are sometimes when I notice the author could have used a different phrase. 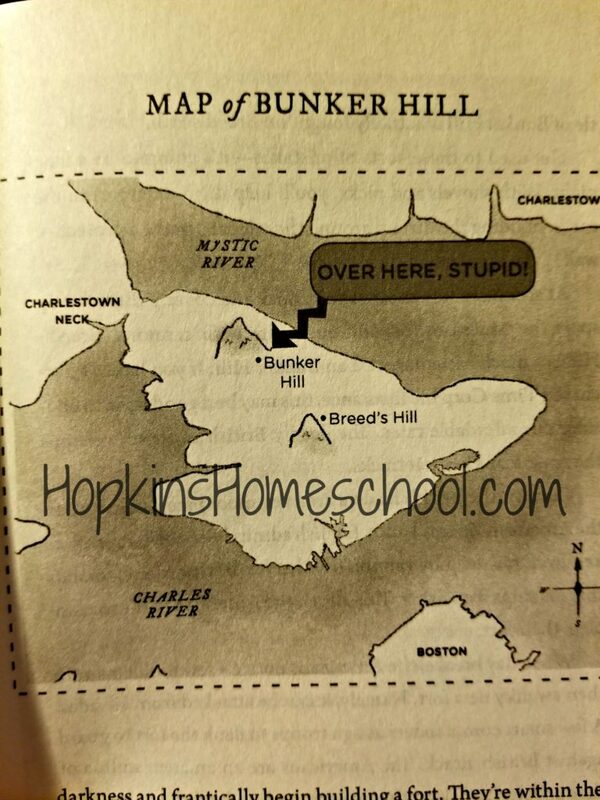 One such time was on the map of Bunker Hill. While I know they are trying to be funny and hit a target age group, some families would rather not see something like this. These books are filled with so many unusual situations, yet they are also filled with so much history! The way the past is brought up and presented is what is making this stick for my kids. I love to give them books that are full of information, but sometimes they just need something funny. Finding a book that does both at the same time is a significant win in my book! The Thrifty Time Travelers are middle school-aged books. I used it with my third and first graders. They loved them, primarily as we used them together. We would read a section and laugh as we would figure out what we would do, as well as talking about the events that were happening. We have a new addition to our bookshelf, and I am happy to hand this to the kids when they want something fun to read. I know they will have fun, and I know they will walk away learning something new! Both of these books will be available on January 30, 2018. You can pre-order your copy of Ancient Rome or American Revolution from Amazon. Those look like so much fun! Must order because….I need more books.